From the game developer, Bla Bla Bla Studios comes Fortunes of Asgard, a game that whisks you off to the home of the Norse gods where you will experience an adventure like no other. You are instantly greeted by a beautiful background in the form of small islands in the sky representing Asgard, and as soon as said background appears, we are prompted to make a choice: Thor or Hellia. Thor is the God of Thunder, son of Odin the Allfather and one of the most often represented gods in modern history and thus needs no further introduction. Hellia, on the other hand, might be an unknown quantity for many. Hellia is the daughter of the trickster-god Loki and Angurboda the giantess. She was banished from Asgard by Odin and given the responsibility to decide over the fates of those who are sick and dying. Hellia is a Norse version of Hades and is the polar opposite to Thor. Which side will you choose? Will you fight for Thor and all that is good in this world, or will you stand side-by-side with Hellia as she attempts to overthrow the ruling powers? The choice is yours, so get spinning! Set against the beautiful background of the islands of Asgard, the uncomplicated and elegant game interface features 5 reels and 3 rows offering a total of 20 fixed paylines. On the game board, we find our playing symbols which come in the form of classic card symbols, as well as Norse, inspired portraits and items. This game has a theoretical return to player of 96.10%. Bla Bla Bla Studios have emphasised on quality and simplicity, both when it comes to the main game (which is straightforward, yet very entertaining and playable) and the layout and design of the gameboard. Every function is stylishly fitted into the gameboard, so it remains clear and available without getting in the way and drawing unwanted attention. Creating a good video slot is not easy and the trick lies in getting the balance right between the main game and bonus features. Too many games nowadays tend to come with an excellent main game but no features, or with a boring main game but with exquisite and elaborate bonus-features. This is not the case with Fortunes of Asgard as Bla Bla Bla Studios have clearly put a lot of time into making this a well-balanced game, something that shines through in the finished version. First out of the bonus features is the Pick Bonus. This feature is activated when landing 3 bonus symbols on one spin allowing you to pick from a selection of galaxies. You will be rewarded with cash prizes. The second bonus feature in Fortunes of Asgard is the Free Spins. This is activated by the Scatter symbol and you can be rewarded with as many as 25 Free Spins – although this requires 5 Scatters. The final feature in this game depends on the choice you made in the beginning. If you picked Thor, you will trigger the Thor feature. This is activated when the Mjolnir hammer lands next to the Thor symbol, turning the whole reel Wild. If you chose Hellia instead, you will have the Hellia feature which is activated by a magical book and turns the Hellia symbol into a Sticky Wild. A look in the paytable tells us that the low-value symbols here come in the shape of classic card-symbols, while the high-value symbols are a portrait of Thor and one of Hellia, followed by a Viking shield, a book and Mjolnir the hammer. The graphics in this game are fantastic, there is no other word for it. The beautiful background blends perfectly with the overall design and the music, something which creates the perfect atmosphere and really gives us the feeling of being on a treasure hunt in Asgard. This is a great video slot indeed, thanks to the fact that Bla Bla Bla Studios have managed to find the perfect balance between main game, bonus features and beautiful design. The gameplay is smooth, and the game looks stunning, so what are you waiting for? Get spinning, you will not regret it! The mobile game market is one of the biggest digital one's today, which had its big kick-start when iPhones and Andriod devices were launched. Always being able to access favourite games, in the same high-quality you can have via desktop, is something quite special. This feeling is what Bla Bla Bla Studios had in the back of its mind when launched in 2012. 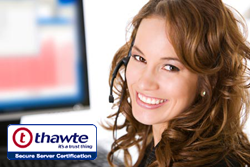 It has its headquarters in Cape Town, South Africa and serves its customer's casino games for PC, tablet, and mobile – and offers multi-platform game adaptions, 2 and 3D games, character designs, and more. Bla Bla Bla Studios have gaming animations in the UK, Argentina, Australia, China, Israel, and a good share of Europe, all with returning clients. A challenge is what they love, if its creating new Slots, a poker game, new animations or anything concerning technology, games, and animations. Games on PC, tablet, and mobiles are the pillars of the company – and all are created using character and storyboard development in both 2D and 3D animations, along with alluring design and illustrations. 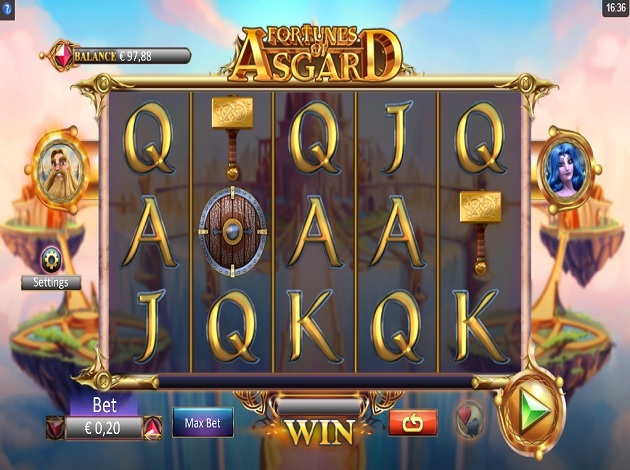 At Videoslots.com, we offer the brilliant, Fortunes of Asgard Video Slot – and this is the perfect example of what Bla Bla Bla Studios brings to the table.